manner. However, this new tax would not be applicable to vehicles cleared before January 31st, 2019 in the case of August 1st, 2018, it is learned. What Vehicle Importers Association say is that accordingly a Vanguard Hybrid vehicle would fetch 36 lakhs while a Japanese Alto would be priced at twenty seven and a half lakhs. 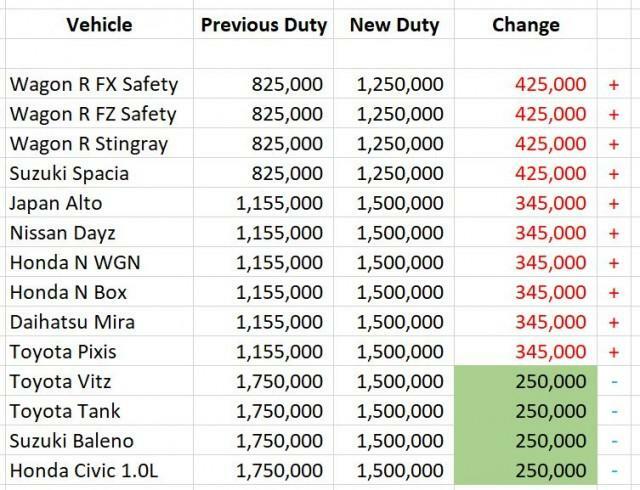 According to this new revision, while certain vehicle prices would go up; prices of some other vehicles may come down. 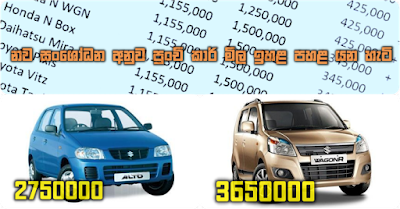 It is also reported that the price of many types of motor vehicles would come down.